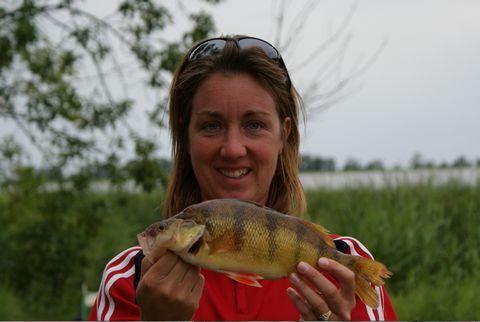 Perch Fishing in ZONE 5 of Lake of the Woods is open all year round. 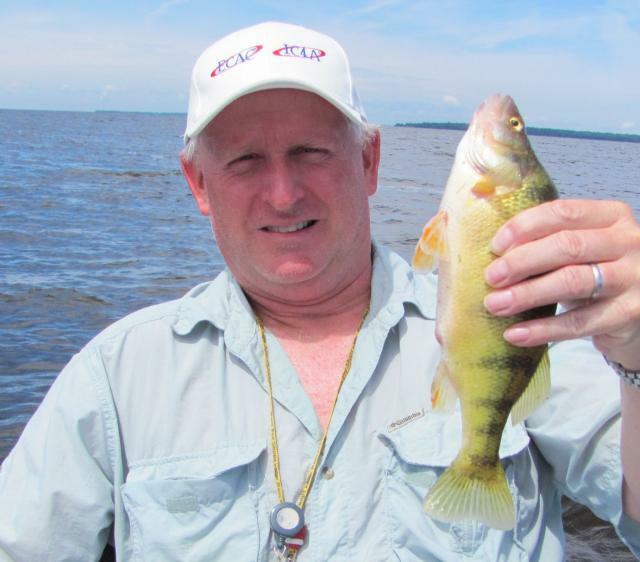 Perch are common on Lake of the Woods, averaging around 9 – 12" in length and very good eating. 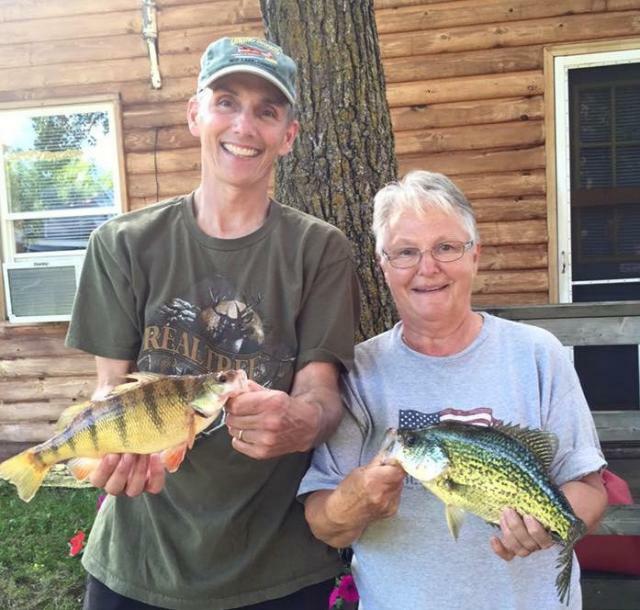 Perch will often share waters with other fish species such as Walleye and Smallmouth Bass. You may never know what exciting species of fish you will catch while fishing Lake of the Woods. 13.75 inch Perch Doesn't look that big in the picture, but it is!!!! The Master Angler Award program recognizes the efforts of fishermen catching Perch 12" and over. But Perch do come in all sizes. 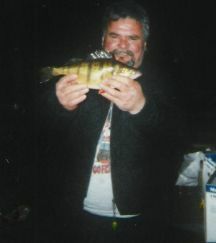 Spring is the time for fishing in deeper water on Lake of the Woods. The most successful approach to catching Perch in Spring is using a 3/8 oz jig tipped with a minnow. Summer Perch fishing is typically done on reefs or humps at 15' to 30', using a jig and a minnow with a snap swivel or barrel swivel technique. Fall fishing for Perch resembles spring fishing. They move just off their spring shallow spots to bays and inlets. Again the most effective technique is jig and a minnow.